YA Bound Book Tours: Blog Tour Schedule: Thief of Lies (Library Jumpers #1) by Brenda Drake! Blog Tour Schedule: Thief of Lies (Library Jumpers #1) by Brenda Drake! 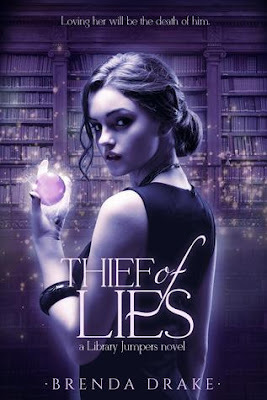 YA Bound Book Tours is organizing a Blog Tour for: Thief of Lies (Library Jumpers #1) by Brenda Drake from Entangled Teen. This tour will run from January 5th to 15th. Blog Tour Kick-Off: Inked by Eric Smith! Cover Reveal: The Society by Jodie Andrefski! Book Blitz Sign Up: The Fountain by Suzy Vadori! Cover Reveal: Raining Down Rules by B.K. Rivers! Book Blitz Sign Up: Clean by Mia Kerick! Blog Tour Kick-Off: Floor 21 by Jason Luthor!